On returning home from work I sometimes felt a deep despair…the garden beds, even when heavily mulched, struggled in the heat. I would come home to dry soil and wilting plants. Even with an automatic watering system moisture loss was very high on hot summer days and I felt like we could do better. 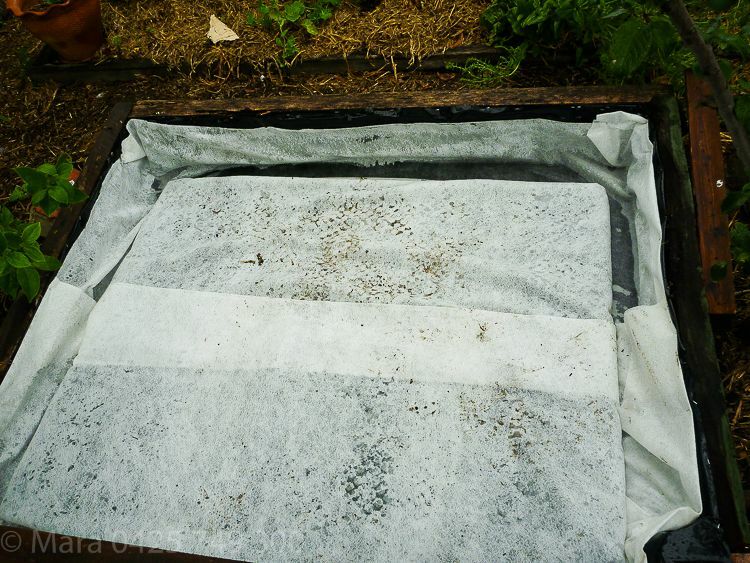 My partner Ralf came across Wicking Beds and realised that for the home gardener raised garden beds could be designed to prevent rain or irrigated water from draining away, making it possible to keep the soil moist for longer. A few recipes were about and we chose one that used Drainage Cells in the mix. For me it meant ‘Happy Days’ as Jamie would say, as I never returned home in despair again. In summer with a lovely mulch the beds perform extremely well. We have at times gone away for the week, when the forecast has shown relatively mild summer weather and returned to a thriving garden. 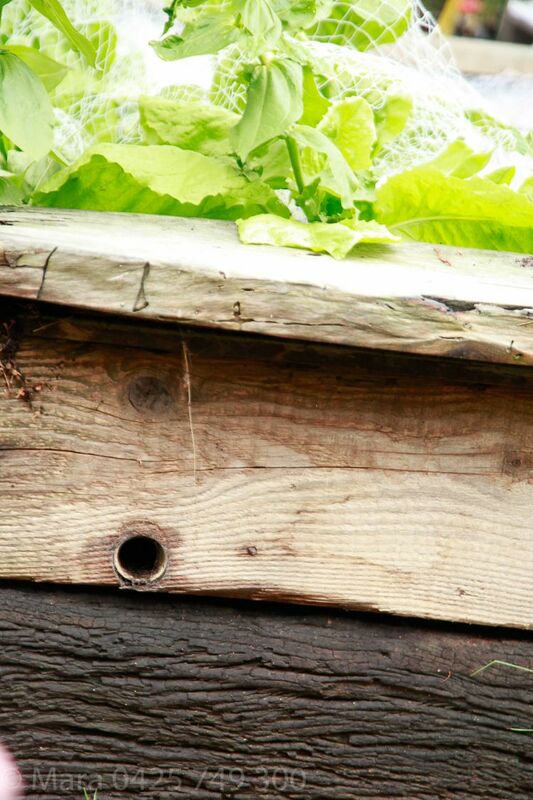 The beds are designed like a lasagna…you build your raised garden bed first. 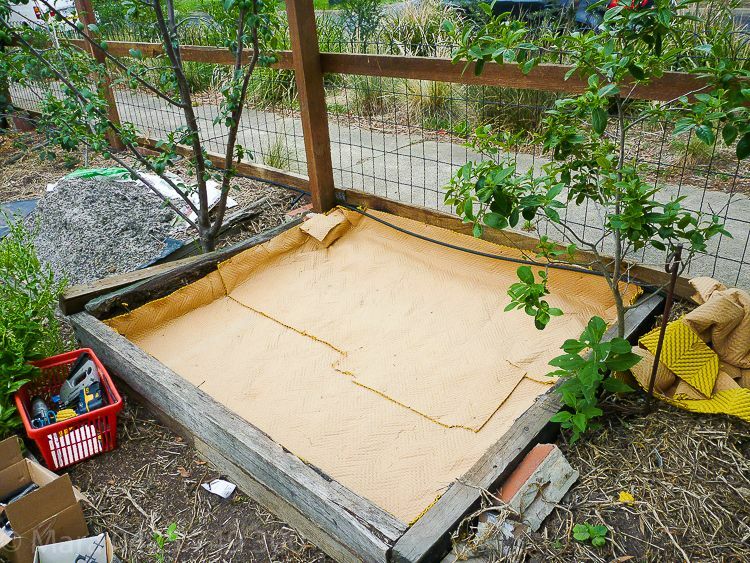 Then you line the bottom of the raised garden bed with old carpet underalay (1st layer). The carpet underlay is used to protect the black builders plastic from being damaged by any small rocks in the soil. 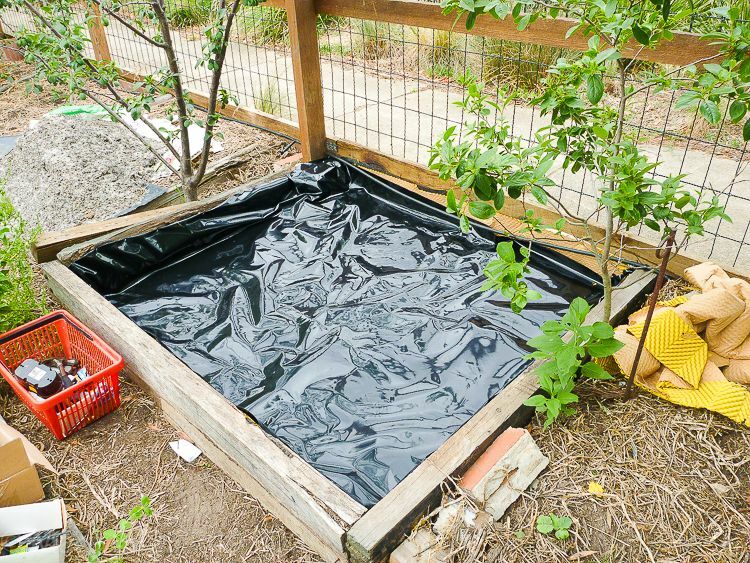 The second layer is the black builders plastic which is what stops the water from leaving the garden bed. 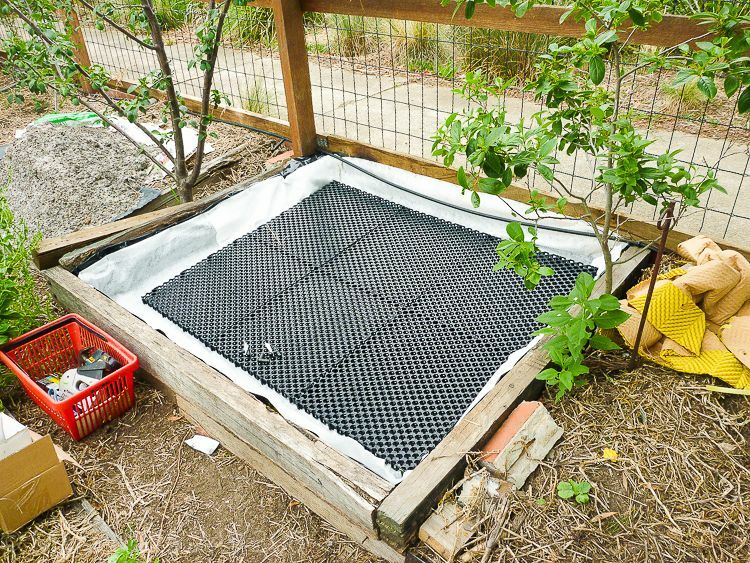 The third layer sits ontop of the black plastic and the material used here is called Geotextile. 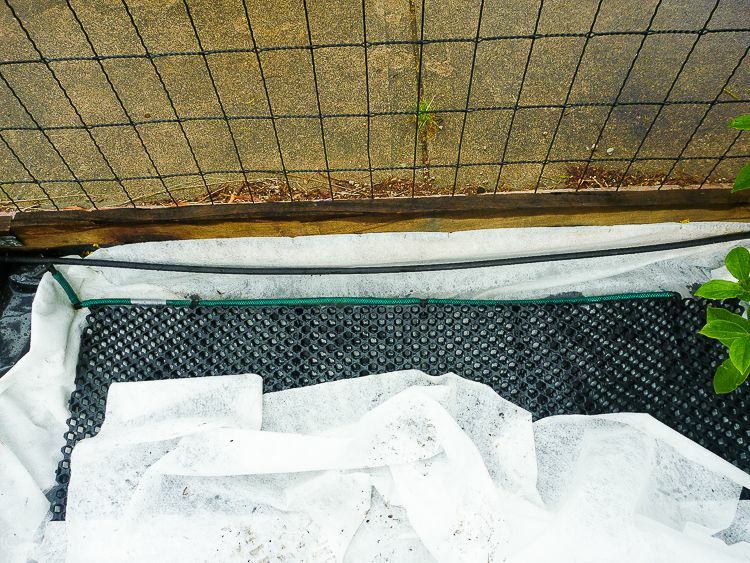 The aim of the Geotextile is to protect the black plastic from tears while still allowing water to wick up into the soil. 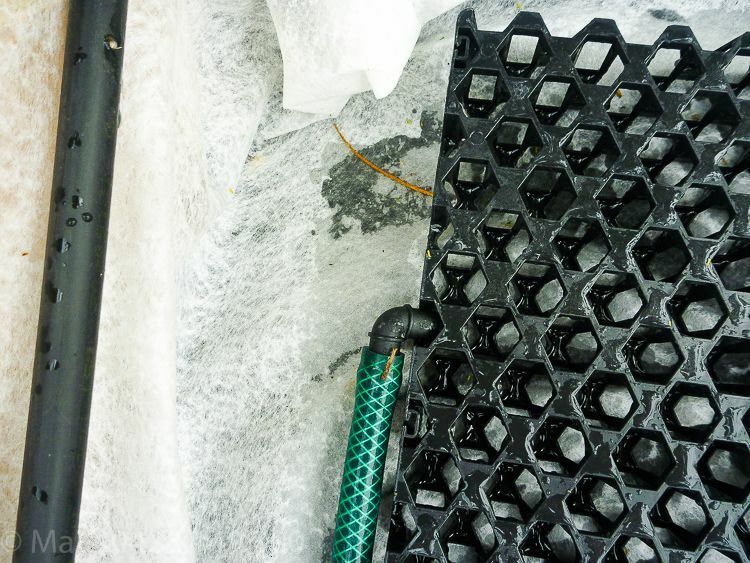 The fourth layer incorporates a product called drainage cells (black honey comb like grids). The fifth layer is Geotextile again. Geotextile is designed to allow water to ‘Wick’ up into the soil profile, while preventing the soil from moving down into the water ‘reservoir’ layer that sits below the soil profile. 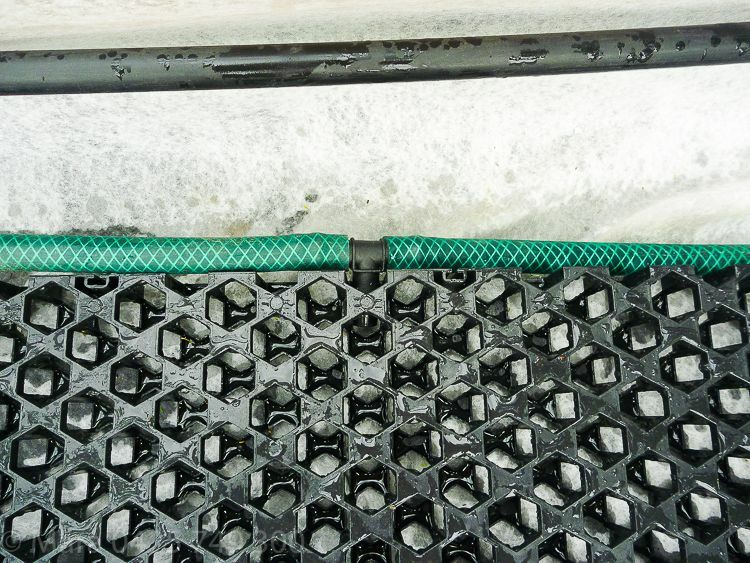 Before the Geotextile is fully wrapped over the drainage cells, the subsurface irrigation system is installed; 13mm poly pipe fittings slot into drainage cells. 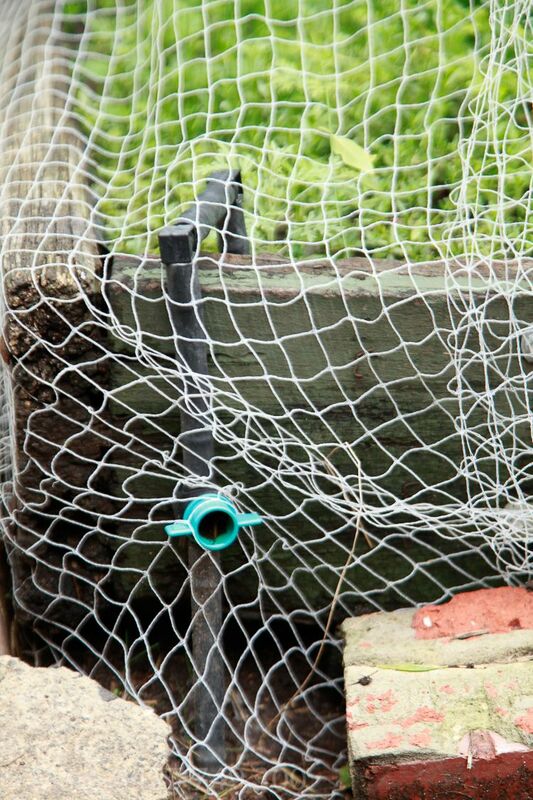 An old green hose we had was also used in some sections instead of poly pipe. Then you complete wrapping the drainage cells with the Geotextile material. 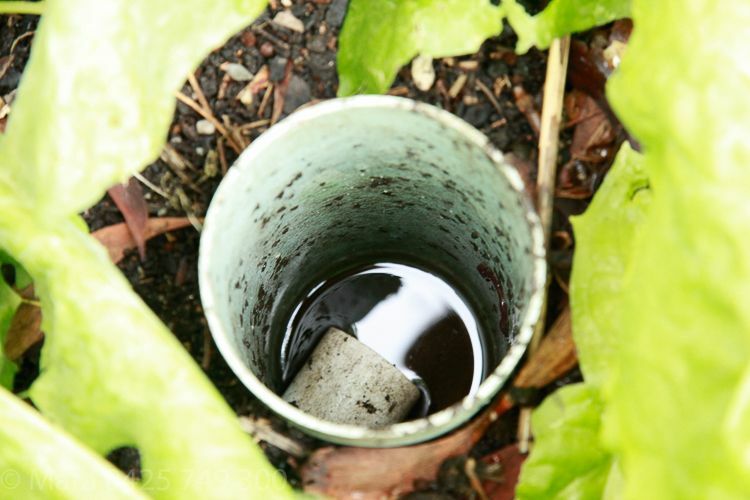 You also want to be able to control which garden bed you irrigate at which time: as each bed loses water through evaporation at different rates an each bed takes a different amount of time to fill. 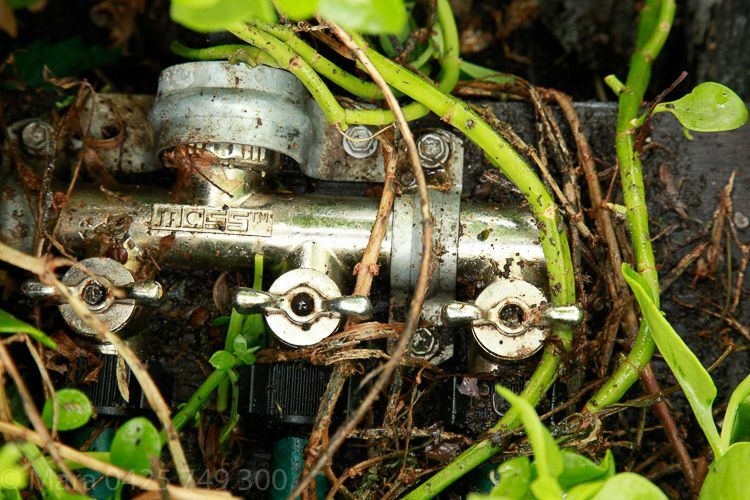 Hence place on/off taps on each garden bed so you can control wich bed to water and which not to water. 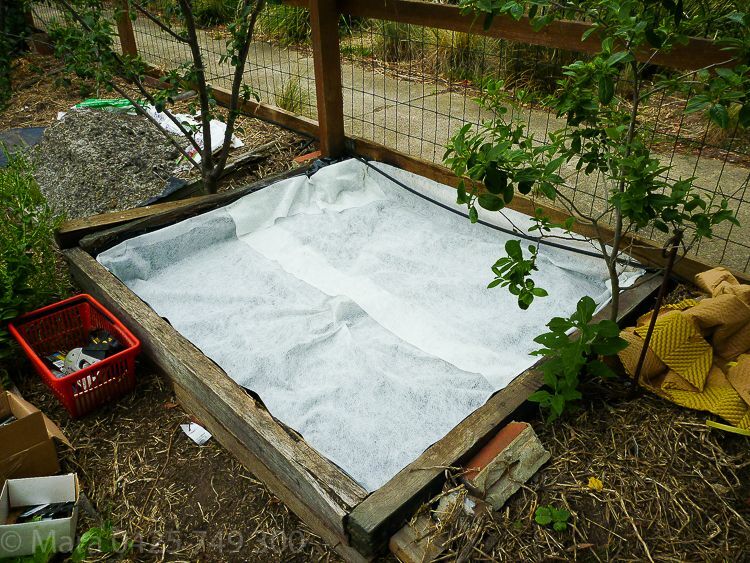 Step 1: Place carpet underlay to protect the black plastic that is about to go above it from the soil below (stones). Irrigation added for subsurface watering. Wicked bed is complete. Time to fill with soil. 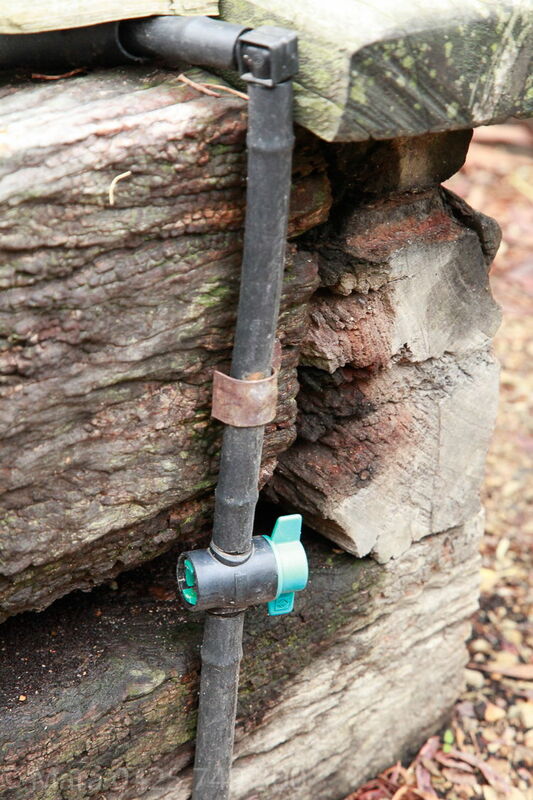 Taps on each garden bed help you to control watering. This tap is off. Irrigation taps control which beds are watered. ← winter, why think of summer!